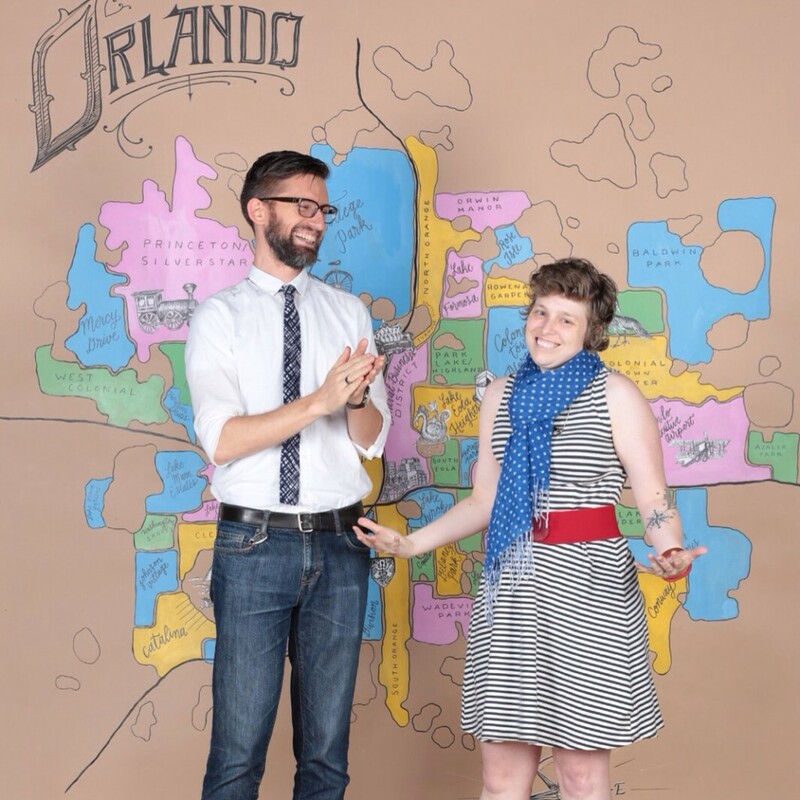 Amy and Nathan loving sharing their passions on the stage at TEDx Orlando, Pecha Kucha, and Nerd Nite. Nathan is an artist and programmer who frequently participates in Orlando events like Art in Odd Places and the Creative City Project. Amy teaches 7th grade and is still trying to start the revolution; meanwhile, she enjoys announcing at the Orlando Psycho City Derby Girls’ bouts (http://opcdg.org/). This summer they’ll be circumnavigating the Northern hemisphere – you can follow their journey here!